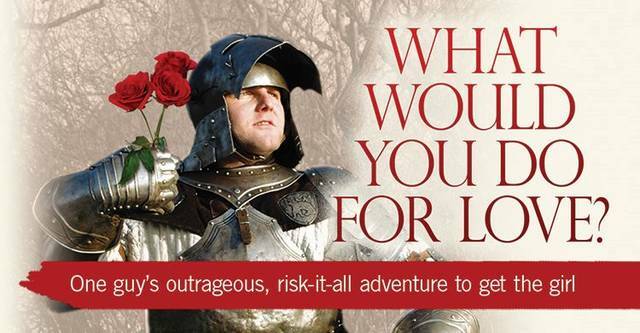 VAN WERT — The Lifetree Café is presenting “What Would You Do for Love? One Guy’s Outrageous, Risk-It-All Adventure to Get the Girl” from 6:30 to 7:30 p.m. Wednesday, Feb. 13, at First United Methodist Church, 113 W. Central Ave., Van Wert. The program includes a film featuring Ryan Leak, whose girlfriend, Amanda Roman, once said she wanted to get engaged and married on the same day. Romantic proposals and what people will do for love will be explored at Lifetree Café on February 13 from 6:30-7:30pm. The program, titled “What Would You Do for Love? One Guy’s Outrageous, Risk-It-All Adventure to Get the Girl,” includes a film featuring Ryan Leak, whose girlfriend, Amanda Roman, once said she wanted to get engaged and married on the same day. So Ryan secretly invited 100 of their friends and family to fly to Miami to witness their wedding - before he’d proposed.